In an absolute menagerie of exclusive designs, our ladies SockShop Wild Feet Patterned Trainer Socks range from the realistic to the deliberately comical. All are made from a quality fibre blend that is cotton rich, breathable and soft to the touch. 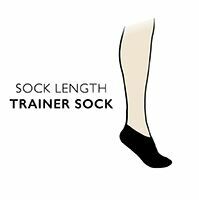 These low ankled trainer socks are light, fine gauge and non-cushioned for a close fit, and finished with superior hand linked toes for smooth seams. Several of our themed triple packs include styles with added fur-texture details for a bit of fun, that feel absolutely gorgeous. Choose from: Badger, Black Pug Dog, Cat, Corgi Dog, Dachshund Dog, Flying Pig, Fox, Grizzly Bear, Little Owl, Panda, Puppy, Red Panda, Shetland Pony, Siamese Cat, Sleeping Cat, Walrus and Wolf.